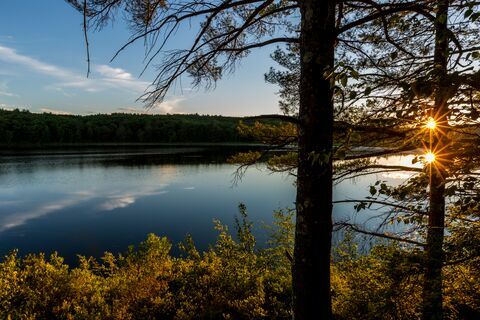 From the White Mountains and Northern Forest to the Connecticut River Valley and communities along the coast, the land is an essential part of New Hampshire's heritage. The Trust for Public Land protects the places that benefit communities across the Granite State. Our locally based staff works to conserve the landscapes that people value most, from majestic mountains, to local forests and farms, to land along our sparkling coast. Covering 31,300 acres of remote forests, streams, and ponds, the Androscoggin Headwaters near Umbagog National Wildlife Refuge is one of the largest unprotected properties remaining in the state of New Hampshire. Sprucewood Forest is a key linkage to existing conservation lands. The wildlife habitat, scenic beauty, and recreational value of this property make the forest a conservation priority for the town of Durham. With funding from the federal USDA Forest Legacy Program (FLP), the state Land and Community Heritage Investment Program (LCHIP), and private funds from locals, TPL helped create the 13 Mile Woods Community Forest, a working forest land along the Androscoggin River in Errol, NH and adjacent to the Umbagog National Wildlife Refuge. The Town of Albany worked with The Trust for Public Land to create a 300-acre town forest on the eastern edge of the White Mountain National Forest. The Trust for Public Land partners with rapidly developing communities in southeastern New Hampshire to protect vital natural resources, wetlands, watersheds, farms, and forests. This school and rehabilitation hospital in Greenfield has over 2.5 miles of wheelchair-accessible hiking trails, the nation's largest such system in a mountain setting and a model for accessible trail design. TPL permanently preserved Daniel Webster’s historic 141-acre farm in Franklin, including scenic riverfront farmland, Daniel Webster’s family home, and historic buildings that were once called home to children orphaned in the Civil War. New Hampshire residents cherish their forests, which often provide the economic base for small communities. In 2001, residents of Freedom, New Hampshire, organized to protect 2,660 acres of forest surrounding nearby Trout Pond, the largest tract of undeveloped land in the area. In October 2011, The Trust for Public Land and the Ammonoosuc Conservation Trust protected 1,081 acres on Gardner Mountain, an area that boasts some of the most important wildlife habitat in New Hampshire. The Trust for Public Land helped the Hurd family conserve their working land straddling the Taylor River in Hampton and Hampton Falls, New Hampshire for farmland and open space, while also protecting coastal land, and preserving a portion of Hampton's agricultural history. TPL has protected thousands of acres in the Mahoosuc region, which straddles the New Hampshire-Maine border, includes miles of the Appalachian Trail, supports wildlife, drinking water, and working timberlands, including locally owned community forests. The Trust for Public Land is currently working in partnership with the town of Milan and the Northern Forest Center to join newly conserved property with existing publicly owned land to create a community forest that will support sustainable timber harvesting and protect habitat and recreation lands. In late 2009, The Trust for Public Land and partners permanently protected more than 5,000 acres of forest, wildlife habitat, and recreational lands in northern New Hampshire including 3,100 acres of the Mollidgewock Brook lands. The residents of Meredith, New Hampshire have long considered Page Pond and its surrounding forest and wetlands an identifying feature of the community. So when the land came up for sale in 2007, volunteers lined up to help preserve it. The rural character of New Hampshire’s Lakes Region is important for attracting tourists and supporting the economy, but this appeal has also prompted increased development that could seriously threaten key habitat and public access. Established in 2001, the Randolph Community Forest contributes to local industry by allowing sustainable forestry practices and is much-used outdoor recreation area. TPL worked with Hampton Falls, the New Hampshire Preservation Alliance, and the Rockingham County Conservation District, and the USDA Farm and Ranch Lands Protection Program to conserve New Hampshire's historic Raspberry Farm, named for a now defunct pick-your-own berries and farm stand, protecting its agricultural heritage, scenic views, and wildlife habitat. In 2003, TPL helped the city of Portsmouth, New Hampshire, and the Seacoast Land Trust purchase the Sagamore Creek Headwaters for permanent use as open space. As a catch and release, fly-fishing-only trout pond, 241-acre Stonehouse Pond offers anglers a wilderness experience more commonly associated with the North Country than New Hampshire's increasingly urbanized coastal area. Since 1999, TPL has helped the State of New Hampshire create a new park on the southern tip of the lake, and added roughly 8,000 acres to the Umbagog National Wildlife Refuge. 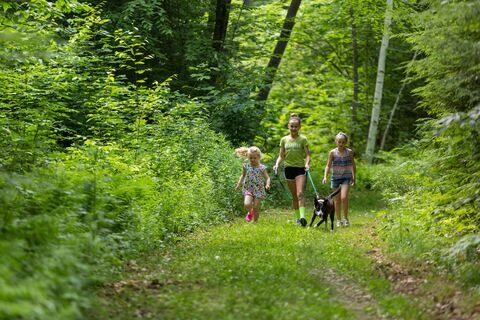 Since 2001, The Trust for Public Land, in partnership with the White Mountain National Forest and the Appalachian Mountain Club, have conserved over 15,000 acres of land and miles of trails in the forest.